You’ve got a listing presentation scheduled with a potential client. Fantastic. Now think of your upcoming presentation as a job interview: you are trying to convince your potential client that you can sell their home faster, for more money, and with more care than any other agent. Therefore, your first impression should let your potential clients know that you are trustworthy, knowledgable, and prepared. Because if you don’t they may be inclined to go with another agent. Think you can go into this or any other presentation and wing it? Failing to plan is another way of planning to fail. The true difference between rookie agents and the superstars is a preparedness. 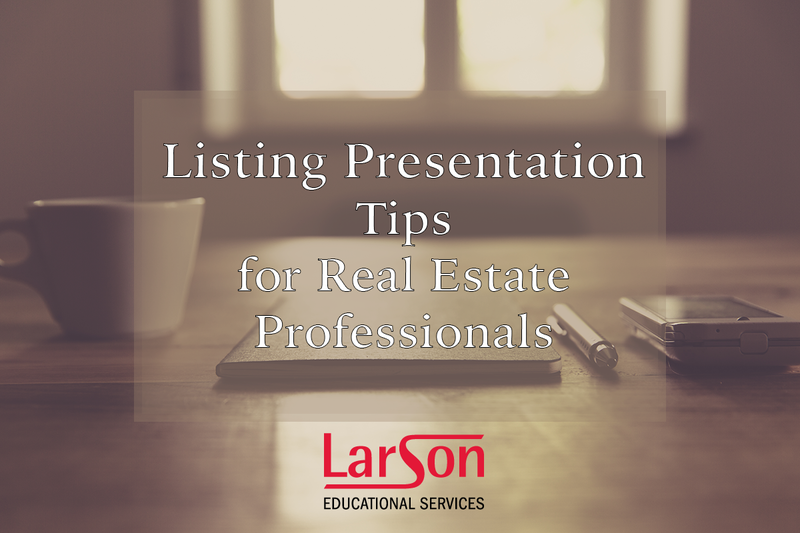 Your listing presentation is won or lost, in large part, before you even meet with the potential client. Follow these tips to better serve your potential clients’ needs. How often do you get a personal, hand-written note from people anymore? It’s rare, but it feels great when you receive one. It shows that somebody cares about you enough to take the time to write something specifically for you. After every listing presentation, send your potential client a handwritten letter and perhaps a small, thoughtful gift to show them what kind of personal attention they’ll receive as your client. Also, be sure to get their email to add them to your email newsletter list (if they are interested). No, you can’t know exactly how your presentation and conversation with your potential clients will go, but there are some questions that will come up time and time again as you do more and more listing presentations. It behooves you to come prepared with some answers to those questions. Be sure to project your enthusiasm for their home—remember, this is their castle. Highlight some of the key positive features while gently sliding into a few things that could stand to be fixed. This one should be easy for you. Let them know if you are an accredited Realtor. Give them a rundown of your recent sales history and some average sales prices for different property types. If you are a full-time agent, mention that—it will give you more credibility than a part-time agent. If you are a part-time agent, be honest about it, but be sure to spin it into a positive by pointing out how your sales record is all the more impressive because of your part-time capacity. Now, you don’t have to be friends with your clients, but employing the same quality listening skills that would get you a friend can help you better serve them. What is their body language saying about how they feel? What kind of questions are they asking? Paying attention to these forms of communication can help you gauge your client’s interest in your presentation. Follow these tips to better improve your listing presentations. To sign up for classes, including real estate post-licensing, visit our website, www.LarsonEd.com, or give us a call at 239-344-7510. Yes, of course you should look up tax records for details on the property and look at similar listings in the area. But don’t overlook the value of looking up your potential clients on social media sites like Facebook and LinkedIn. Get a sense of where they’ve been and where they’re going in their careers and lives by looking at job and personal information publicly available on their social media profiles. If you think looking up your potential clients online is creepy, then consider this: What do you think people do every time they consider using your services? That’s right, they type your name into Google. This is interpersonal research in the 21st century. Your potential clients will want to hold hard copies of documents in their hands at a listing presentation—having tangible evidence of your work adds to your credibility as well as the credibility of the information you are presenting. Prepare a CMA and have a full-color market analysis on hand, along with some of your personal marketing materials. Also, consider bringing along some of your photographer’s work as a sample, but remember: only do this if you get nice glossy photo paper. It’s better to present an electronic version of an image than a poorly printed hard copy. What would you think of a doctor who discouraged you from getting a second opinion? They might come off as insecure and, perhaps worse, it’ll mean they’re more concerned with their own image rather than your well-being. This is how you make a potential client feel when you discourage them from interviewing multiple agents. Encourage your potential clients to talk to your competition—this displays confidence in every way. And, if you have prepared like you should, you will stand out from your competition anyway. Most importantly, do not speak ill of your competition or put undue pressure on your potential clients. Inform them, be honest, and speak with confidence and you will already be ahead of the game. Earlier this week, Gulfshore Business Magazine awarded their fourth annual Best of Business awards at the brand new Southwest Florida Performing Arts Center. Awards ranged from Best Architect to Best Private Country Club. In the Best Family-Owned Business category, who else but Larson Educational Services came out on top. Owners Brad and Dave with the award. Brad also wants Larson customers and employees to know that he feels like they are all part of the Larson family. “To our intructors, customer experience team, and vendors, I want to say congratulations, because you are LarsonEd,” the owner says. To sign up for classes, including our brand new health insurance pre-licensing courses, visit our website, www.LarsonEd.com, or give us a call at 239-344-7510. Being a real estate sales associate will require you to have a certain verbal panache that will improve your communication skills. Use these question and answer types to make better your interactions with potential clients. When you talk, you can only say something you know. When you listen, you may learn what someone else knows. When you begin to hear a person speak in generalities, that’s your indication to start asking specific questions to clarify what’s actually being said. 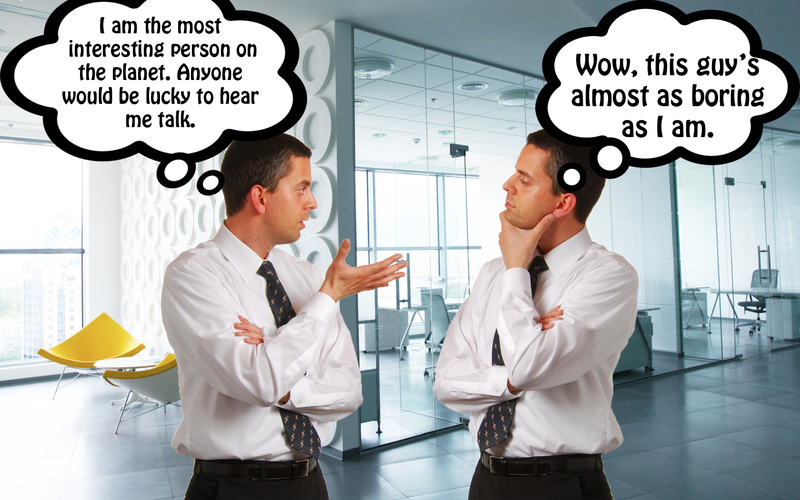 Listen actively to empathize with the other person’s feelings from his or her point of view. Observe the nonverbal cues to determine what is not being said. Focus on your audience, not yourself. These questions allow the other party to speak freely and to reveal critical information. These questions are used to obtain very specific responses, which will be helpful to your presentation. These questions are used to obtain a simple yes or no response. Conditioning the other party to say yes throughout the discussion establishes a feeling of goodwill. Supportive Statements: Yes, that’s true, or That is very helpful. These comments provide positive reinforcement for those remarks made which are favorable to your case. Utilize these conversational tips and question and answer types to better serve your client (or potential client). More and more consumers are demanding that real estate sales associates arrive at the walk-through already armed with market information. It’s important to have information about all sales in the immediate area over approximately the past six months. If there have been relatively few sales, you might have to expand the analysis to include similarly desirable areas. In performing your market analysis, determine the highest price the seller can expect to receive in the least amount of time with the least inconvenience. Improper pricing can get you dejected. Use these cautionary tips to accurately price your clients’ homes.